The basic theme of today’s hearing on cruise ship safety by the House Subcommittee for the Coast Guard and Maritime Transportation is that the cruise industry is safe and that the Concordia incident was "caused by human activities that never should have happened." The U.S. Coast Guard today has 426 inspectors qualified to inspect cruise ships, according to Salerno. Congresswoman Corrine Brown (D-FL) was very supportive of the cruise industry as was Congressman Elijah Cummings (D-Md). The only challenge came from Congresswoman Doris Matsui (D-CA) who questioned the implementation of the Cruise Vessel Security Act that she had sponsored, and Congresswoman Mazie Horono (D-HI) who said she wanted the 100-year old Death at Sea act reviewed and updated. She said the cruise industry is protected in terms of liabilities – “with all kinds of limits of how and where they can be sued, unlike other industries.” None of the panel participants commented on these issues. Salerno, however, clarified that the crime incidents reported are the closed cases, while incidents under investigated are not reported, thus explaining the seemingly low crime rate statistics on the Coast Guard site. Also witnessing was a couple from Minnesota, Divya and Sameer Sharma, who had been on the Concordia, and painted a worrisome picture of the chaos and panic situation onboard and the seeming lack of management. Brian Schoeneman, legislative director of the Seafarers International Union, also hinted that if the Concordia had been American-crewed, the incident would never have happened, promoting his own membership and training resources. In addition, other witnesses included Christine Duffy, president and CEO of the Cruise Lines International Association; George Wright, senior vice president of marine operations for Princess Cruises; and Captain Evans Hoyt, Captain of the Pride of America of Norwegian Cruise Line. All made a very good case for the industry’s safety record, procedures and practices. As a case in point, Wright was asked about safety measures in Antarctic waters and explained that Princess ships will have two captains onboard, an ice pilot, and a senior ranking executive from the home office, plus a manned rescue center in Punta Arenas (Chile). As for deviating off course, Captain Hoyt said that at Norwegian Cruise, the bridge team plots the course which is then signed off on by the captain and that any deviation has to be agreed to by the bridge team and the captain. However, the question was not asked nor did anybody put any light on whether the bridge team can override a captain that is making the wrong decision. 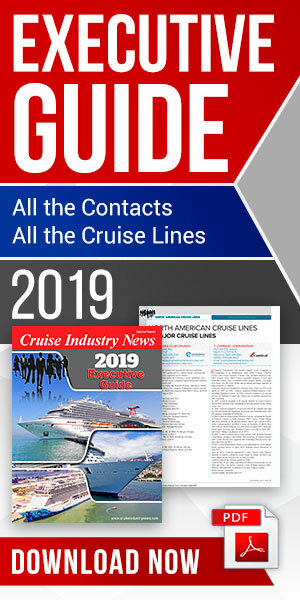 The committee, chaired by Frank LoBiondo (R-NJ) concluded that cruise ship safety is an ongoing issue and that a roundtable will be organized next to see more specifically if laws and regulations need to be changed.